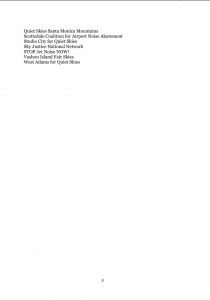 Author planesense_jPosted on April 1, 2019 April 1, 2019 Categories UncategorizedLeave a comment on Nassau County Aviation Committee Meeting Tuesday April 30. 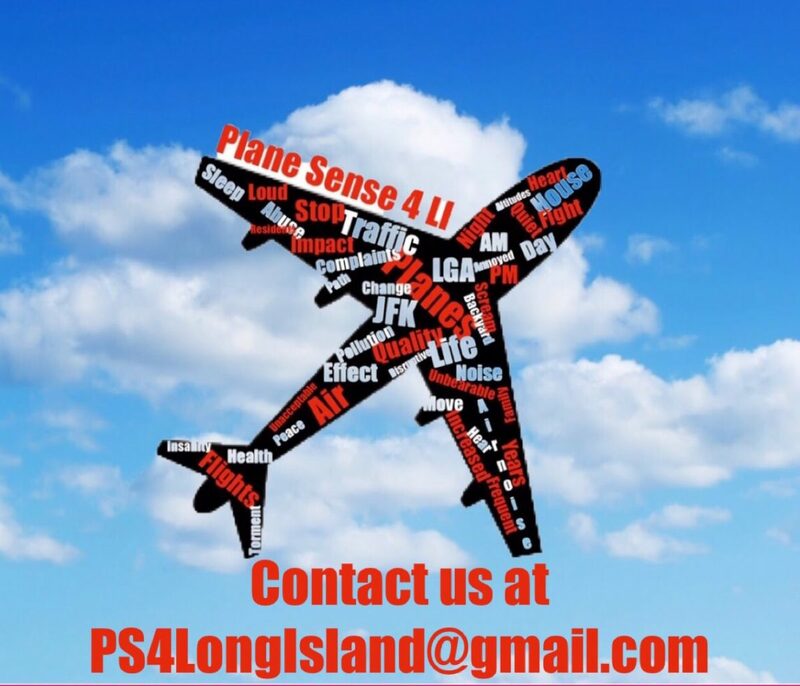 Plane Sense 4 LI is Fighting for Nassau County!!! Since 2012, the residents of Nassau County have been enduring the torment of excessive plane noise over their homes. In 2014, Governor Cuomo directed the Port Authority to establish one roundtable to represent the communities who are affected by the noise due to a newly-designed system called NextGen, which maximizes the number of flights coming in and out of our airports at any given time. Cuomo’s roundtable was besieged with problems at its onset, particularly for the residents of Long Island. The major players – airline-related businesses, politicians, and citizen groups in Queens were vying for positions that would hold the most power. This process went on for the next 3 years, with very little voice from Long Islanders, who were also impacted yet barely considered. The roundtable’s bylaws were finally passed in 2017, resulting in 2 separate committees: 1 for JFK & 1 for LGA. The 2 committees would meet separately and then meet formally as a joint roundtable. The bylaws were voted on and approved establishing the rules and regulations as binding. Plane Sense 4 LI as well as Queens Quiet Skies had a vote on the roundtable but mysteriously disappeared without an explanation. We had numerous conference calls with the Port Authority to ask for their help to get our vote back. We were told that the bylaws were binding and the only way to join the roundtable was to become a Citizen member. The bylaws states: Citizen Members will be admitted after being nominated and seconded by members of their respective Airport Committees and approved by a majority of the Airport Committee members at a scheduled meeting of the Airport Committee. We contacted Congressman Suozzi’s office and they agreed to nominate both Elaine & I to each of the committees. At the LGA meeting, Elaine Miller was nominated and seconded and by a majority of member votes as per the bylaws and joined the LGA roundtable being the voice for Long Islanders. Unfortunately that was not the case for the JFK committee. The overriding opinion of the JFK chair, Barbara Brown of Eastern Queens Alliance, became the dominant voice in all decisions. Thus the membership consisted of a majority of Queens Representatives, and Nassau County was hardly considered. Currently, there are 86 members of the joint roundtables, yet only 11 voices from Nassau County. Our attempts to equal representation for Nassau County residents were shut out at every turn. The JFK committee is not abiding to the bylaws in a fair and equal way. As of now, the only way to become a citizen member on the JFK committee is to conform and allow the chair to change the bylaws without an amendment. Our residents of Nassau County are being underrepresented and so far no elected official has stepped up to support our request to have a fair and equitable distribution of representatives. Our organization Plane Sense 4 LI represents thousands of residents and has been fighting this injustice for years. We need to be heard by our elected representatives and show them Long Islanders will not be ignored any longer!!!!! 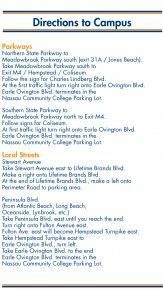 Author planesense_jPosted on September 24, 2017 September 5, 2018 Categories RoundtableLeave a comment on Plane Sense 4 LI is Fighting for Nassau County!!! Plane Sense is continually working with elected officials who have shown support in our efforts to restore our quality of life and end the excessive overflights over our communities in Nassau County We recently met with Assemblyman Brian Curran who has introduced a bill in the New York State Assembly which states that an environmental study should be done to analyze the impact NextGen is having on the hardest hit communities. He will need the support of other elected officials to pass this bill. We will inform you of the state senators and members of the assembly who should be contacted by the residents of their districts. 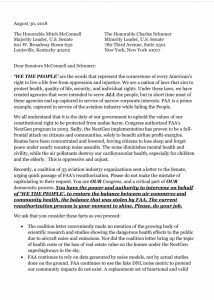 Congressman Suozzi has made a commitment to his constituents to work to pass legislation in Congress that will relieve us of the incessant low flying flights over our homes. He has taken the position of co-chair of the Quiet Skies Caucus in Congress. Congressman Suozzi has accepted our proposal for amendments to be added to the upcoming FAA Reauthorization Bill and sent them to his Washington D.C. office. Congresswoman Rice has also made a commitment by joining the Quiet Skies Caucus and sent our proposals to her Washington D.C. office. We have one seat at the NYC Roundtable as a citizen member but we are working on acquiring a second seat representing the people of northern Nassau County. 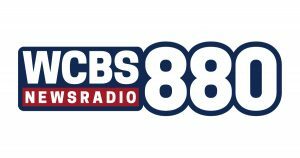 Plane Sense has contacted the Denton law firm in Washington D.C. to find the details regarding litigation against the FAA. We are in the early stages however; this litigation has a cost of $35,000-50,000 dollars. 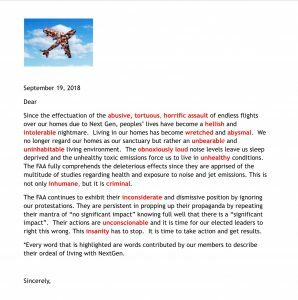 Plane Sense is seeking venues to distribute informational material to the residents of Nassau County of the dangers they are exposed to by noise and air pollution generated by low flying flights. Through this effort we are also hoping to increase our membership. Over flights over Nassau County has been increasing and the planes are lower than ever. Communities, who are directly under the flight paths i.e. rails, are experiencing a significant increase in planes. 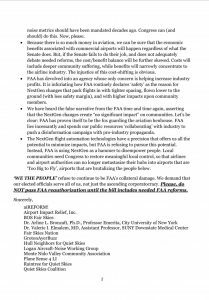 As we have stated before, the FAA and the PA are looking to increase the hourly departure and arrival rate. It is of the utmost importance that all of our members continue to contact their elected officials to support this movement to regain the sanctity of our lives. 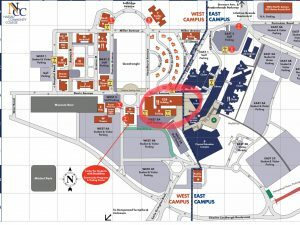 We will need volunteers to help distribute flyers that will contain important information regarding our efforts. Without the work of all of our members, we will be destined to live in misery. Elected officials and community activists unveil new airplane noise data in Flushing. As NY1’s Shannan Ferry explains, they’re calling on aviation agencies to reduce the noise.